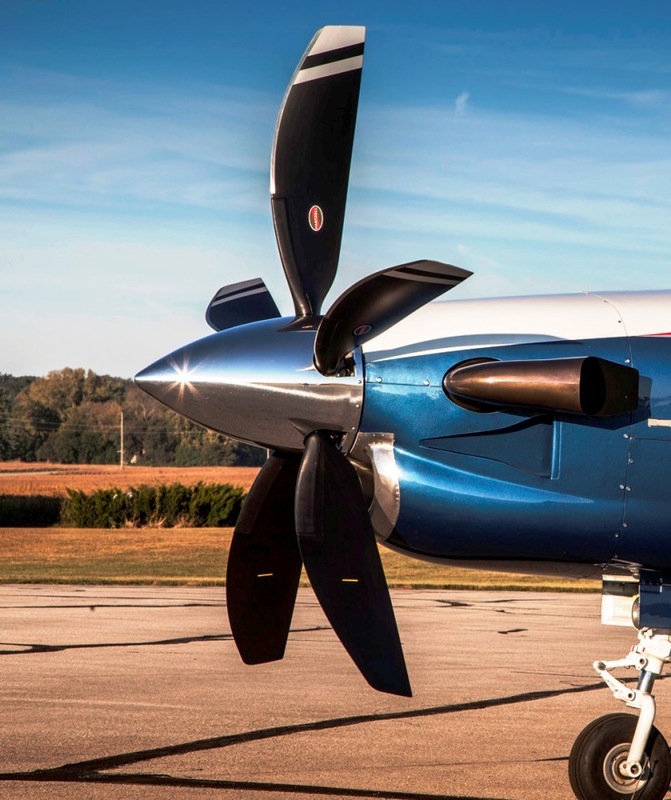 In earlier posts we’ve covered how different types of propellers – such as fixed pitch propellers and variable pitch propellers – operate. But today we’re going to break down the differences in a single post. As the names imply, the core difference between the two prop designs involves the orientation of the blades relative to the propeller hub. Pitch affects the way a propeller blade will slice through the air. A low (fine) pitch positions the blade of the propeller in a slightly more vertical position from ground level. This configuration generates more thrust and is ideal for take-off and ascent. At cruising altitude, a more horizontal, high (coarse) propeller pitch allows the prop to move through the air more efficiently. This conserves fuel and reduces strain on the engine. One hundred years ago, when early aviation engineering was still in its infancy, fixed pitch propellers were your only option. A fixed pitch propeller has its pitch determined at the factory when the propeller is made. Its blade orientation was tested and built for a specific airplane to offer the optimal blend of performance and efficiency. Fixed pitch propellers were the norm until about World War II, when both pilots and aeronautical engineers began pushing aircraft to higher performance levels. Though born out of wartime, the benefits of variable pitch propellers made them appealing to commercial aircraft designers. In a variable pitch propeller, the blade pitch can be manipulated directly by the pilot in the form of cockpit controls, or automatically based on the speed of the engine. On aircraft with automatic control, blade pitch is continually adjusted as the propeller adapts to altitude, engine RPM, and other parameters. The blade pitch is typically regulated via a hydraulic or electrical system. Varying pitch allows the propeller to maintain the ideal blade orientation for the exact flying conditions. So, there you have it: the difference between fixed pitch and variable pitch propellers is ultimately how much control you have over the operational efficiency of your aircraft.